An aging parent has invested significantly in an expensive home, but it’s time to move somewhere more exotic. She doesn’t want to take a loss on the property, though. She’d even like to come back and use the space for big events every now and then. But it’s not clear if the kids are old enough to manage the place – and if not them, who would take it off her hands? That parent is NASA, the U.S. space agency. 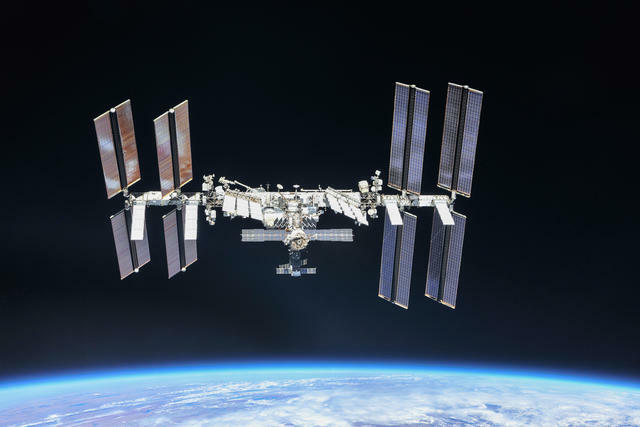 The house is the $150-billion International Space Station, or ISS, hurtling around the world every 90 minutes. The kids are a space industry working to commercialize 60 years of publicly funded space research. For almost two decades, humanity’s football-field-sized laboratory 254 miles up has sustained a rotating crew of up to seven people without interruption. Beyond keeping themselves and the Station functioning, the highly trained astronauts spend their time on research and testing new space technology. In fits and starts, the U.S. space agency under President Donald Trump has been plotting to go further, to the Moon and on to Mars. This ambitious agenda is beginning to conflict with the $3.4-billion annual cost of operating the ISS, presenting NASA planners with a conundrum: absent an unlikely increase in space spending, how can they boldly go where none have gone before while also keeping the home fires burning? The U.S. pays the bulk of the Station’s annual cost, so it takes the lead among the 15 nations behind the megaproject in deciding its future. With that price tag and those plans in mind, Trump wants to cancel U.S. spending on the ISS by 2025, a move that would force NASA to de-orbit the Station – that is, burn it up in the atmosphere over some isolated stretch of the Pacific. Congress, however, is unlikely to accept such a fate. A part of that solution will be on display later this year at Cape Canaveral, when a handful of astronauts are expected to become the first Americans to roar into orbit from home soil since 2011. They will do so as pioneers, on the first spacecraft built and operated by private companies on behalf of NASA. Boeing and SpaceX’s taxi service outsources the expensive business of getting to and from the ISS. Elon Musk has essentially built a cheaper rocket. He has yet to spur a new market in space. When it comes to transporting cargo to the space Station, NASA has found happy results from fixed-price service contracts with companies such as SpaceX and Orbital Sciences, now Northrop Grumman, rather than designing and flying contractor-built rockets itself. The technical challenges were straightforward, and the new rockets could be cross-purposed for other customers in the private sector or military to drive down the sticker price. The program struck gold with SpaceX, whose Falcon 9 rockets have catalyzed billions of dollars of global investment in cheaper launch systems and the space technology they enable. 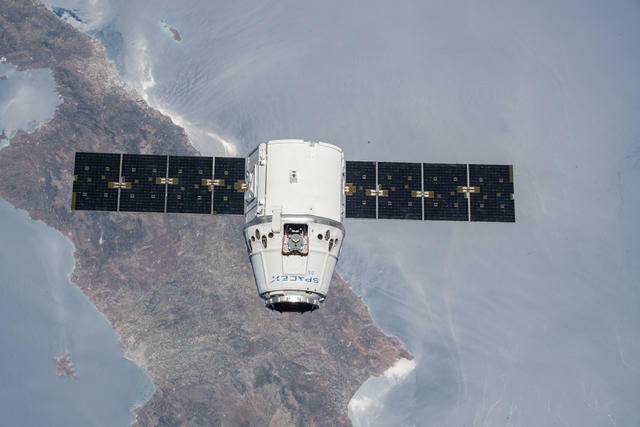 SpaceX's Dragon cargo craft, seen over Crete, approaches the ISS, July 2018. But Elon Musk has essentially built a cheaper rocket. He has yet to spur a new market in space. Outsourcing the transportation of people and cargo is one thing, but adopting a similar model for the ISS itself is a far more complicated prospect. Doing so might save the U.S. enough money to appease those who would see the ISS decommissioned, but the fundamental question is this: can operating a space station be profitable without the government in charge? NASA officials abhor the perception that they are commercializing the Station. For one, private companies have been involved since the ISS was conceived. Lead contractor Boeing will be paid $213 million this year for the work of some 1,000 employees managing the spacecraft. Its work in support of the Station has garnered the firm $20 billion since 1993, five years before the first module was launched. Today, the ISS hosts eight different companies that manage commercial projects, including a small habitat and infrastructure for private launches of small satellites. Still, the government may not be as efficient an operator as the private sector would be. Just ask Michael Suffredini, who, as a NASA executive, was in charge of the ISS from 2005 to 2015. Today, he leads Axiom Space, a Houston-based company aiming to capitalize on the potential transition to private hands. Cutting costs won’t be enough. The other half of the balance sheet – generating income with a space station – promises to be much more difficult. Possible options include space tourism, Earth observation, supporting the satellite industry, and performing research and development for space manufacturing. Even creating entertainment products is an idea; enthusiasts imagine reality TV, “edutainment,” and corporate sponsorship. After all, KFC recently paid a space balloon company to loft a sandwich to the stratosphere, and National Geographic used a camera installed on the ISS to film a documentary about Earth science. Axiom Space’s business plan starts off with bringing tourists or astronauts from countries outside of the ISS partnership up to the Station on brief, paid jaunts. Then, the company hopes to install its own habitat on the structure to expand its offerings. It is hardly the only partner with an interest in using the Station as a launchpad for future business. NanoRacks, a longtime ISS contractor, wants to expand beyond managing research payloads and launching small satellites from the ISS to operating its own station. Bigelow Aerospace has installed an inflatable habitat on the Station, a precursor to the Moon base it is dreaming up. The most promising business line, however, is the manufacture of exotic fiber optics. When the tiny glass tubes are formed in microgravity, they become far more efficient in telecommunication networks, precision manufacturing, and medical equipment. One firm, Made In Space, has a fabricator installed on the ISS already, which will produce 100 meters of cable to prove out the business case for a larger space-based manufacturing facility. Exciting possibilities notwithstanding, forecasts by the Science and Technology Policy Institute, a federally funded research center, suggest that a privately operated station (the ISS or otherwise) could earn between $455 million and $1.18 billion annually. That means the business case can only be closed by the rosiest projections. Tourism and research into human biology aside, much of what can be done in space now can be accomplished more efficiently without humans, which has some private firms contemplating alternatives to the infrastructure of a full station. Even risk-loving venture capitalists interviewed by the Institute weren’t impressed by the outlook. Start-ups like Axiom want to start their work on board the ISS because they would need to raise hundreds of millions of dollars to launch a brand new station – which will be all the more difficult as long as competitors enjoy de facto government subsidies to operate on the ISS. In short, the stars are not aligning for a fast transition to privately funded space stations full of tourists and machines cranking out futuristic cable. If the numbers resign NASA to funding and using the Station for the foreseeable future, the good news is that it has plenty to do there. The space agency’s primary work in low Earth orbit is two-fold: to prepare for further exploration by studying how microgravity affects the human body, and to demonstrate new space technology. Its research agenda remains unfinished. Pending questions include how astronauts can work together productively in close confines for many months; why their vision becomes poorer in space; and what happens to make their immune systems less effective. 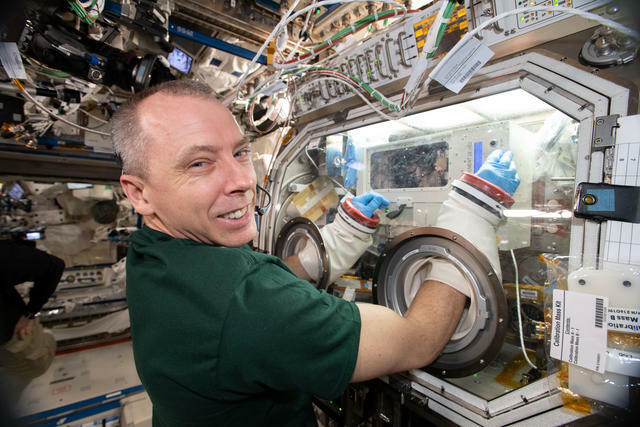 NASA astronaut Drew Feustel works inside the Microgravity Science Glovebox, inspecting mice during an experiment. There are engineering problems to solve, too, in order to make future deep-space missions possible. For example, ISS life-support systems recover 47% of oxygen and 90% of water used, while feasible long-duration missions will require spacecraft that can recover 75% of oxygen and 98% of water. If NASA can’t finish its research before the end of the ISS, missions to the Moon and beyond will be much riskier. The officials responsible for running the space program argue that the ISS, as a vital stepping stone to future goals, can’t be abandoned prematurely. Indeed, the U.S. space community is fearful of a lengthy period without routine activity in low Earth orbit, akin to the gap between the end of the Space Shuttle program in 2011 and its still-forthcoming replacement with privately built rockets. (While Russia picked up some of the slack to carry personnel to the ISS and back, the lack of U.S. transportation proved wasteful, as it prevented maximum utilization of the Station by a full crew.) If the U.S. abandons a permanent outpost in low Earth orbit before getting to the Moon, NASA could be effectively locked out of human space exploration for years. Others don’t want to be locked out either. While the U.S. covers the brunt of the bill, the ISS is international, and Russia, Japan, Canada, and the participating countries of the European Space Agency play important roles in operating it. The partners have diverse priorities, but favor extending the Station’s lifespan. If the U.S. abandons a permanent outpost in low Earth orbit before getting to the Moon, NASA could be effectively locked out of human space exploration for years. Russia’s space program is running into financial troubles, but its leaders relish the prestige of operating the ISS, and still claim plans to expand the existing structure. The European Space Agency and the Japanese Aerospace Exploration Agency would like to push on to the Moon in a similarly structured international partnership, but also hope to maximize their investment in the Station. For Washington, projecting soft power and fostering geopolitical goodwill – particularly with Moscow – are other oft-cited reasons to keep the Station aloft. 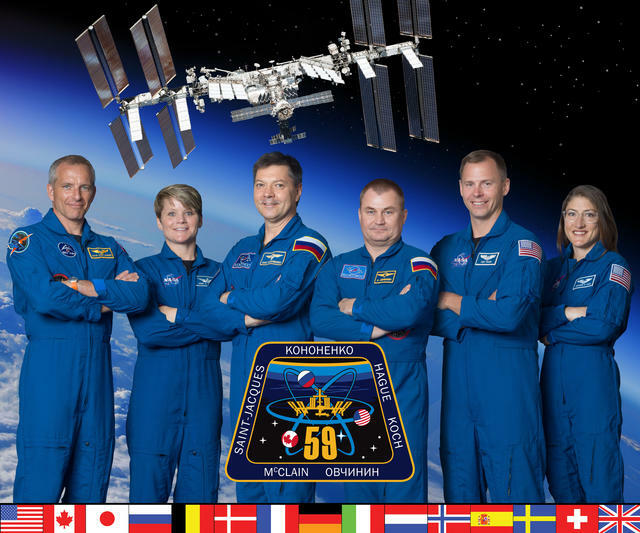 The current ISS crew includes three Americans, one Canadian, and two Russians. One reason U.S. partners expect the Station to remain in orbit for the near term is American domestic politics. Much of the Station’s bill is paid to U.S. companies and their workers. Pulling the plug on the ISS would not just mean trouble for NASA research centers and the space-industrial complex; it would harm the entire space economy, from SpaceX down to the humblest satellite schemer. Senators from Florida and Texas, where ISS programs are based, have made clear they are not interested in shutting down the Station in 2025. Legislation to extend its life until 2030 seems likely to be enacted this year. Another important influence comes from beyond the ISS partnership. China’s ambitious space program, which envisions an international station of its own and lunar missions in the next decade, presents a prestige-driven motivation to keep the ISS up and running, and push forward to the Moon at the same time. This is not the first time the U.S. has faced the choice of ISS or Moon mission (or considered somehow balancing the two). President George W. Bush fretted over how to replace the outgoing Space Shuttle’s job of supporting the Space Station while also credibly pushing for a return to the Moon. His administration ultimately split the difference, using commercial partners to replace the Shuttle and kicking off the programs that would ultimately become the Space Launch System (SLS), a new deep-space rocket, and the Orion, a new deep-space capsule. The lesson of the space agency’s commercial cargo program is that the government and the private space sector can work better together than apart – if their incentives are well aligned. If NASA ever wants to be a customer at a space station and not the proprietor, it must be wise about how it seeds the ground for private space efforts in the years to come. The lesson of the space agency’s commercial cargo program is that the government and the private space sector can work better together than apart – if their incentives are well aligned. Companies need a transparent, competitive path to pilot their work – from research and manufacturing to space tourism – on the ISS. Today, many of the companies with ambitions in low Earth orbit specialize in helping NASA scientists and university researchers develop experiment packages that “plug in” to the Station for several months to run trials. The government outsources the operation of other national labs performing highly sensitive research to the private sector, so why not this one? 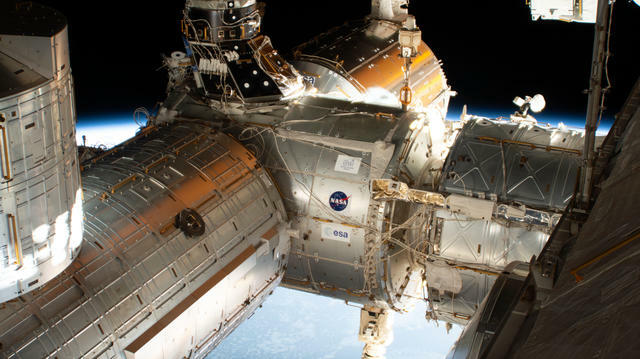 Indeed, the most likely solution for the future of the ISS is a hybrid of public and private, allowing the space agency to share more of the costs. Of course, there are private efforts that are less dependent on government largesse and less impacted by competing needs. Billionaire Amazon founder Jeff Bezos aims to invest in a future with millions of people living and working in space, though there is a reason that his Blue Orbit and Musk’s SpaceX have first focused on building cheaper rockets: the cost of getting into space is the biggest obstacle to making a profit there. If some combination of reusability, innovation, and a growing market can cut that cost in half, the Science and Technology Policy Institute’s revenue forecast for a private space station increases by 23% to 53%. Uncertainty is also important to recall. The same analysts note that McKinsey & Company predicted in 1980 that there would be some 900,000 mobile-phone users in 2000. The actual number was 110 million, a reminder that technological revolution is hard to foresee. A similar development in orbit – proving out the power of space-made fiber optics, a biotech breakthrough, or the success of large internet networks in space – could change the equation for a private Space Station. In the meantime, our aging parent may find it better to keep the house in her name and let the kids pay rent. She can even lease out the garage apartment on Airbnb. Tim Fernholz (@TimFernholz) is a senior reporter at Quartz, where he covers space, the economy, and politics. He has written for a wide range of publications, including The Atlantic, The Guardian, and Newsweek, and is the author of Rocket Billionaires: Elon Musk, Jeff Bezos, and the New Space Race.